I am an affiliate for Notoriously Morbid. This means I make a commission if you use my code. Find out more information here. A fireball, yikes. This brings back bad memories. 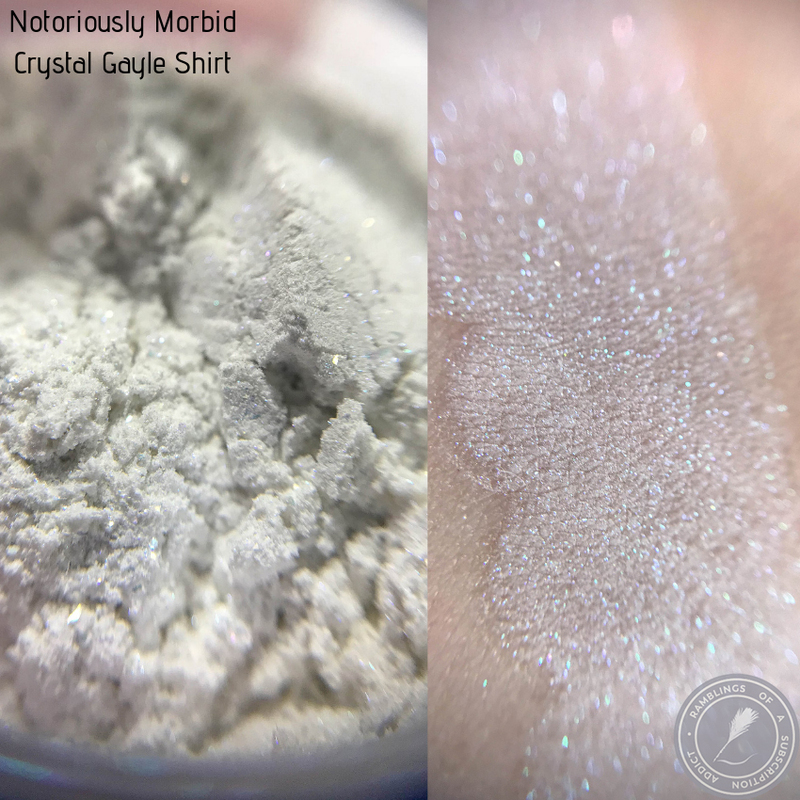 Crystal Gayle Shirt (Eye Shadow) is a stark matte white with gold, red, and blue sparkles. This is the perfect highlight shade for your inner corner, but I especially love it as the halo part of a halo eye. 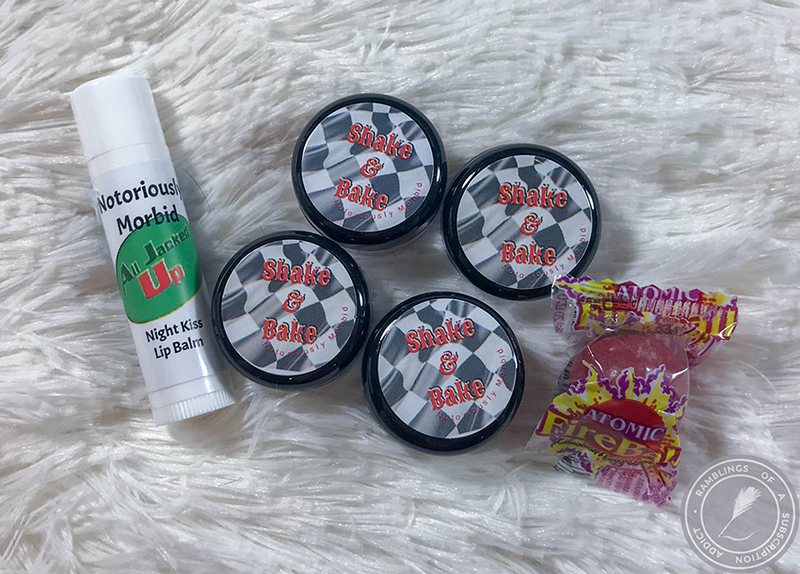 It's versatile enough to be used on a ton of different color story looks or as a simple cheek highlight (if you like sparkles in your highlight). 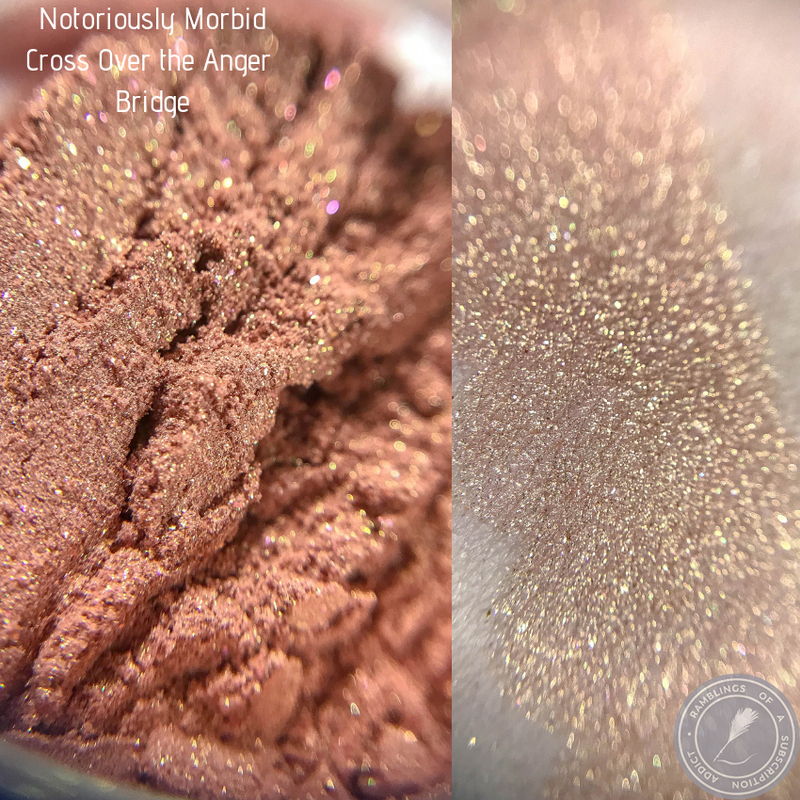 Cross Over the Anger Bridge (Eye Shadow) is a light coral shadow with a dark golden sheen and copper and orange red sparkles. This is such a shifty shadow. The gold sheen almost acts like a duochrome with how strong it is. 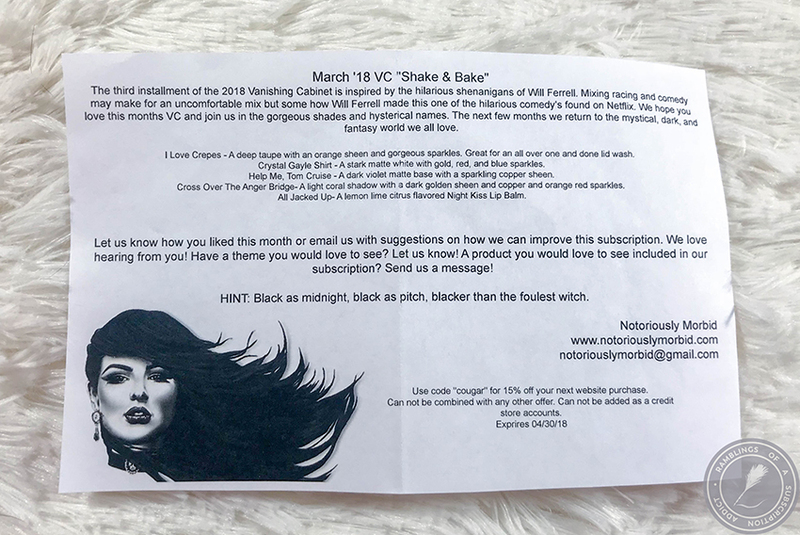 I like this shade but I really only see it being used in a few looks. 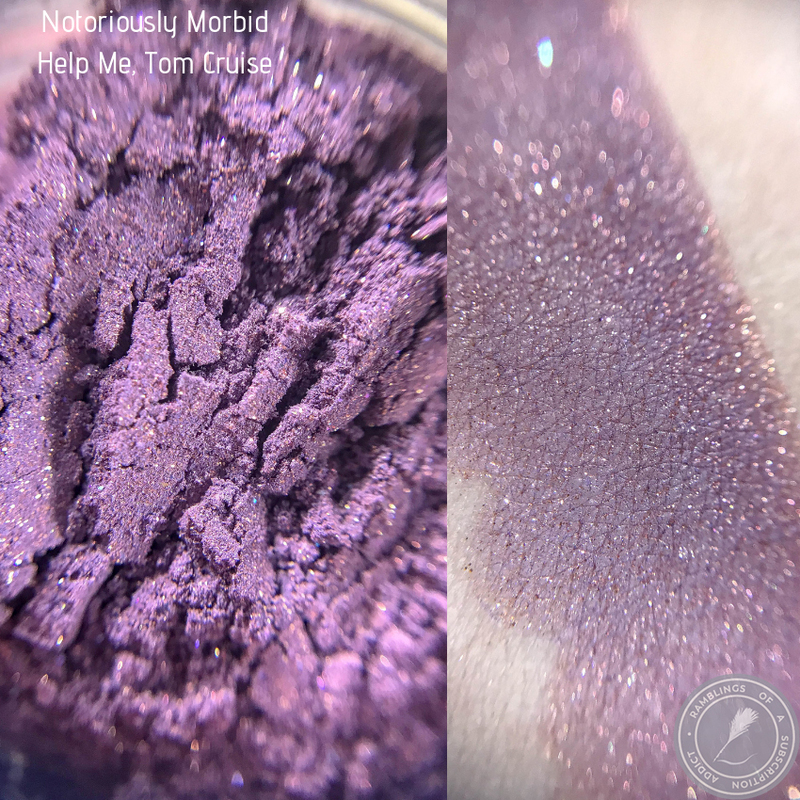 Help Me, Tom Cruise (Eye Shadow) is a dark violet matte base with a copper sheen. The copper bits aren't too strong so this is mostly a purple matte shadow. You can see the copper coming out in the macro but it's not as evident on the eye. 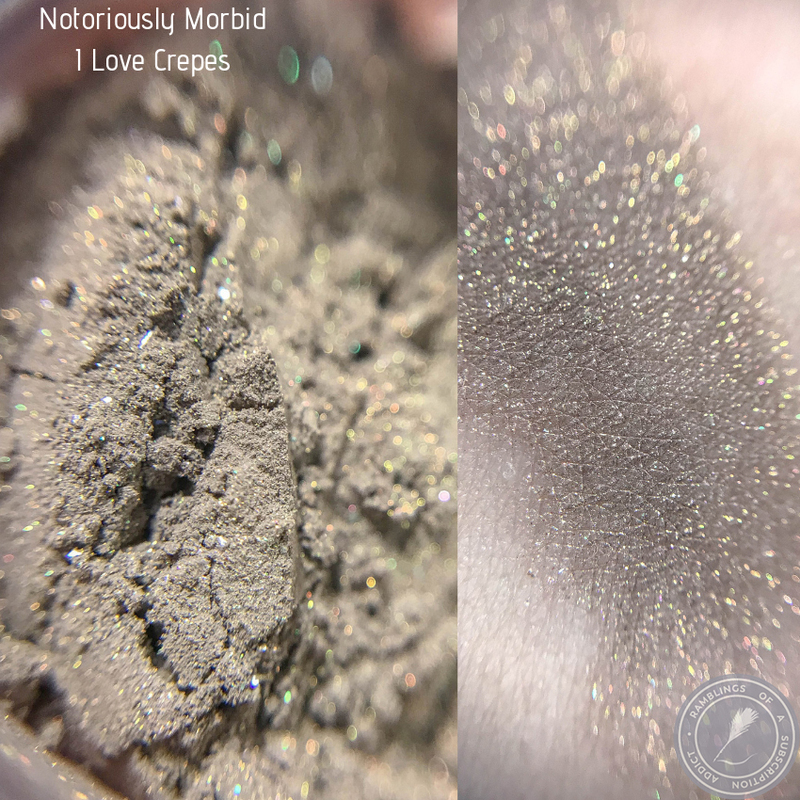 I Love Crepes (Eye Shadow) is a deep taupe with an orange sheen and gorgeous sparkles. Great for all over one and done lid wash. This is suuuuuper stunning on the eye. The sparkles don't overpower the base and I love that this is a little grey-toned and a little cooler than normal. I don't see the sheen much in the swatch or on the eye, but that makes me happy. 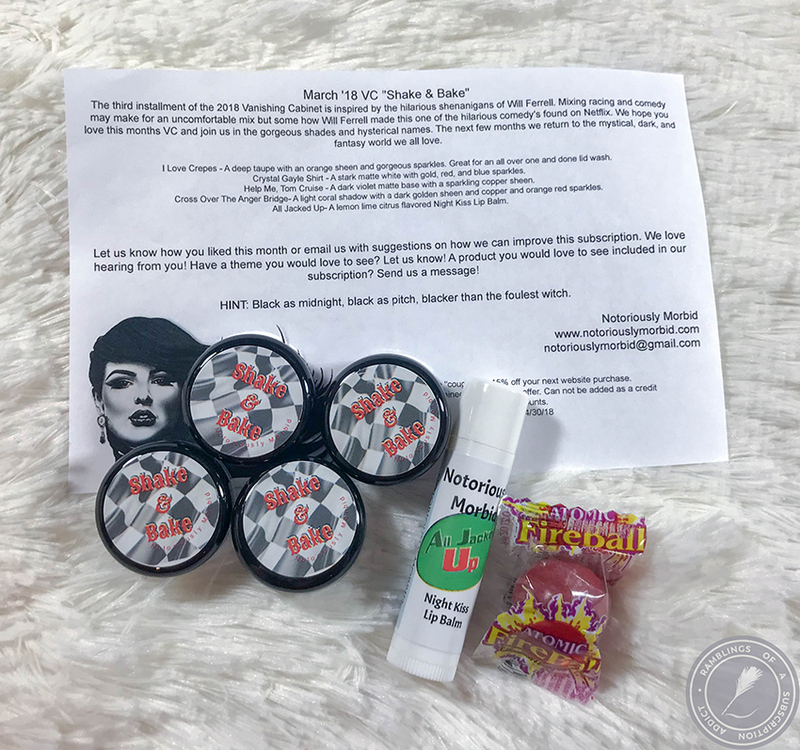 Not swatched is All Jacked Up (Night Kiss Lip Balm) is a lemon lime citrus flavored Night Kiss Lip Balm. Overall, this was a fun month for the Vanishing Cabinet. 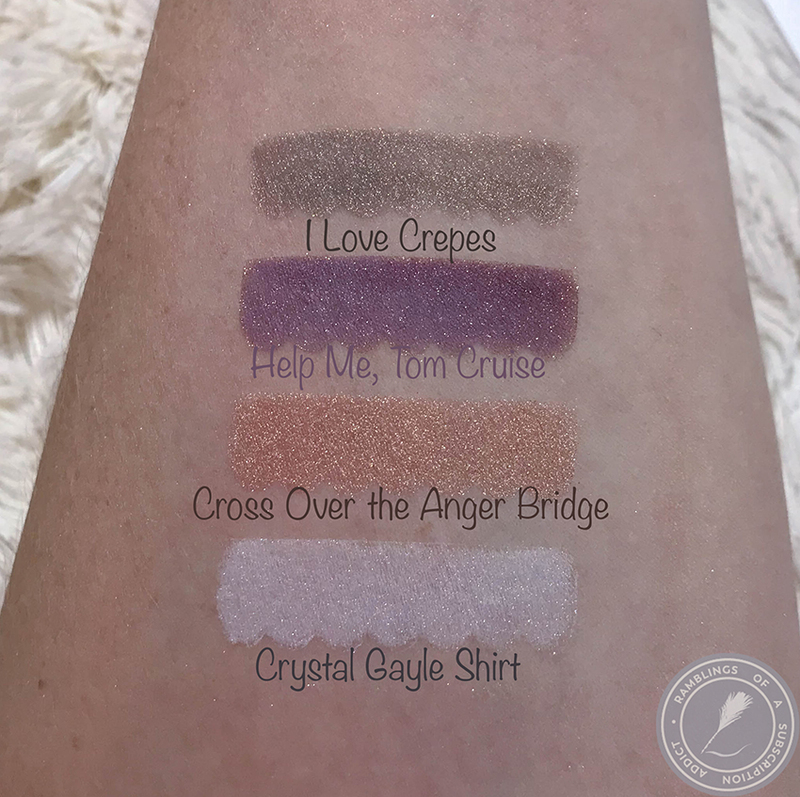 I especially love the taupe and the white shadows, mostly because I know I could use them in a ton of different looks.